12 x 15ft premium vinyl laminate roll. Vinyl laminate is a clear material that is designed to protect whatever it is layered over such as inkjet printable vinyl and patterned vinyl. Laminate paper acts as a shield against scratching, fading, water and adds an extra layer of protection to any vinyl project and signs. The laminates are primarily used for sign vinyl, printed media, and inkjet printable vinyl, but are compatible with all vinyl. Simply layer the laminate onto the vinyl and smooth out. Then make your cut. Laminates are compatible with all personal hobby and craft cutters but you will need to account for a thicker media when cutting (a test cut is always recommended). Can be used indoors or outdoors to offer extra protection to your vinyl project. Can also be used to cover shelves in a pantry, cupboard, or closet; lining drawers in the kitchen, bath or bedroom; covering a counter or work space; or even tackling a creative craft project like covering a lamp shade. Easy to apply with split back liner for easy application. No heat or special equipment necessary. Can be used like heat laminated semi-flexible ID cards, but this vinyl is self-laminating (self-adhering). Cuts with an x-acto knife. Material: Polypropylene, will not crack or tear with age. Compatible with all craft cutters and plotters including Cricut Expression, Silhouette Cameo, Robo Craft, Xyron, Craft ROBO, Graphtec, Quickutz, Inspirations, Pazzle and all other personal hobby cutters. Self-adhesive vinyl laminate adds gloss and superior transparent protection to your signs, designs, inkjet printable vinyl, and graphics. Use it for covering, resurfacing or decorating projects and crafts. Stronger than Grafix, Heavyweight, and Duck laminate. 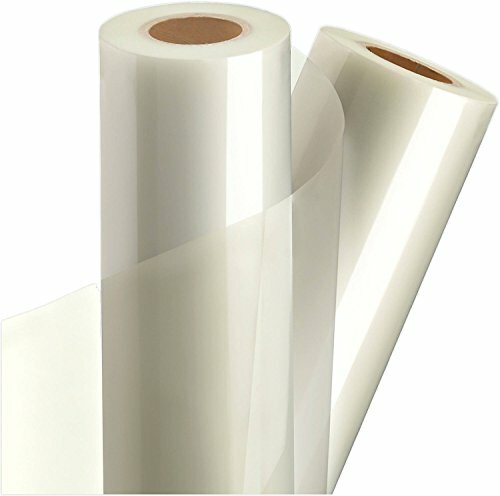 Durable, flexible 3-mil vinyl laminate film offers long lasting protection. UV resistant, permanent and waterproof. Protects against UV rays and mildew, long term durability (5+ years). Smooth glossy finish. Strong, transparent, tear-resistant. Coated with self-adhesive for convenient, inexpensive lamination. Engineered for indoor and outdoor uses including signs, signage, inkjet vinyl self-adhesive gloss, business card luggage tags, bookmarks, art, graphics, paper, documents, kids projects, recipe cards, stencils, photo protector, posters, mailing labels, shipping labels, scrapbooking, lettering, marking, decals, stickers, phone covers, laptop covers, and non-heat laminated tags. MADE IN THE USA. View More In Adhesive Vinyl. If you have any questions about this product by StyleTech - Turner Moore Edition, contact us by completing and submitting the form below. If you are looking for a specif part number, please include it with your message.